- Size: About 17.7 * 20cm/ 7 * 8 inch(L * H). - Chrome accents, beautiful glossy white casing, and sleek hidden battery compartment! 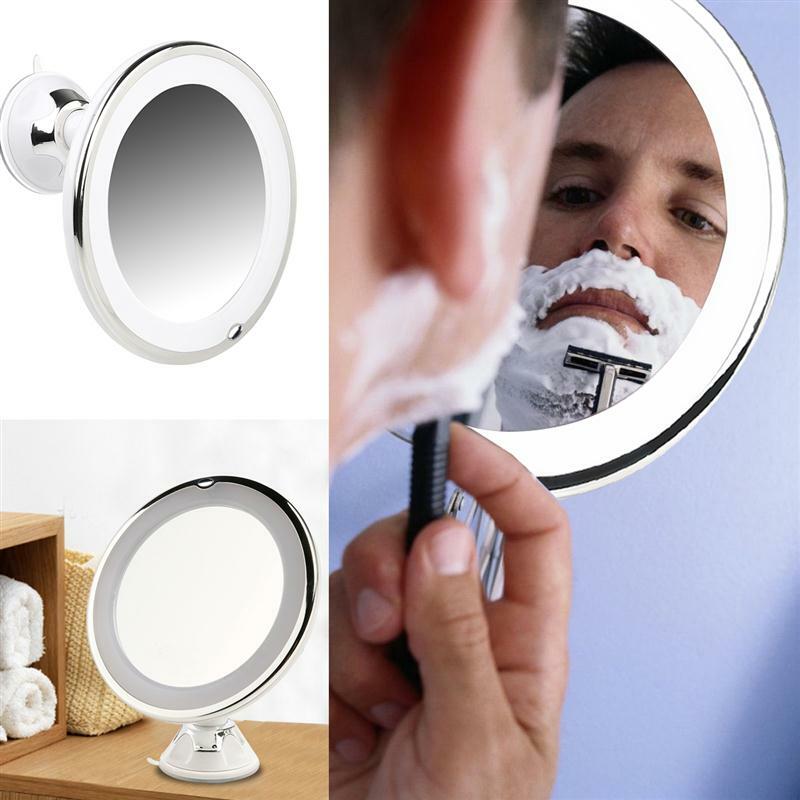 - Multi-functional, used as wall-mounted mirror, table mirror and hand mirror. 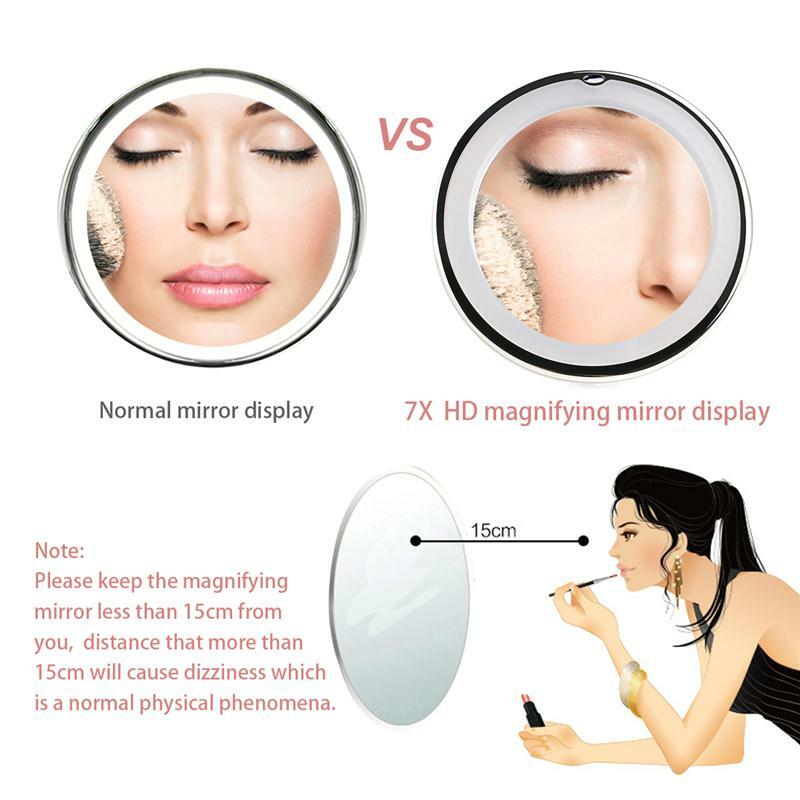 - 7X Magnification, make sure every detail of your hair and makeup are in place. - Energy efficient LED light at the tap of your finger. 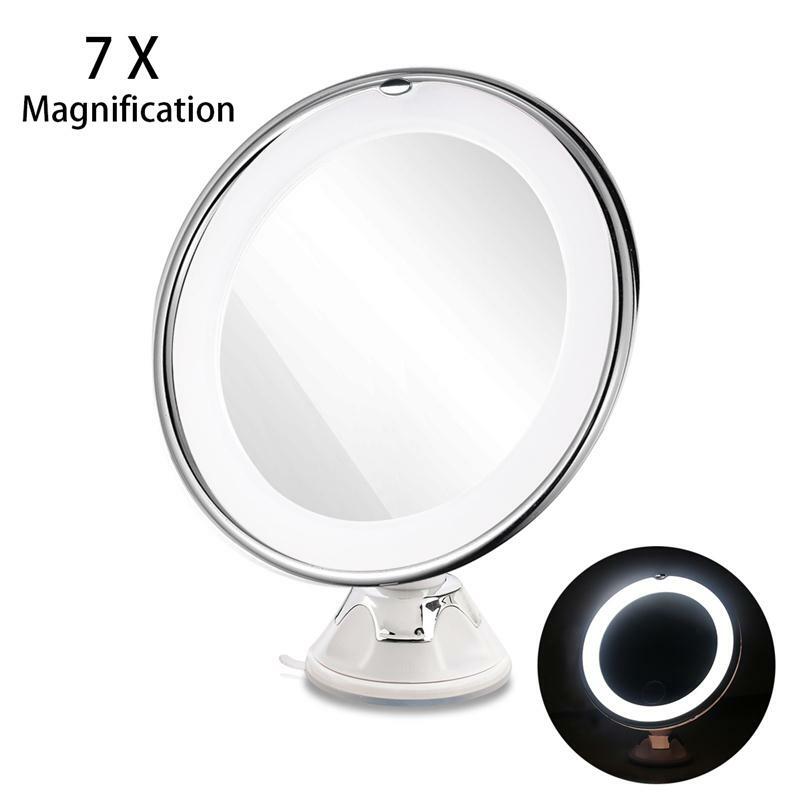 Easily accessible push button switch in front of the mirror. - Easy to mount and easy to re-position. 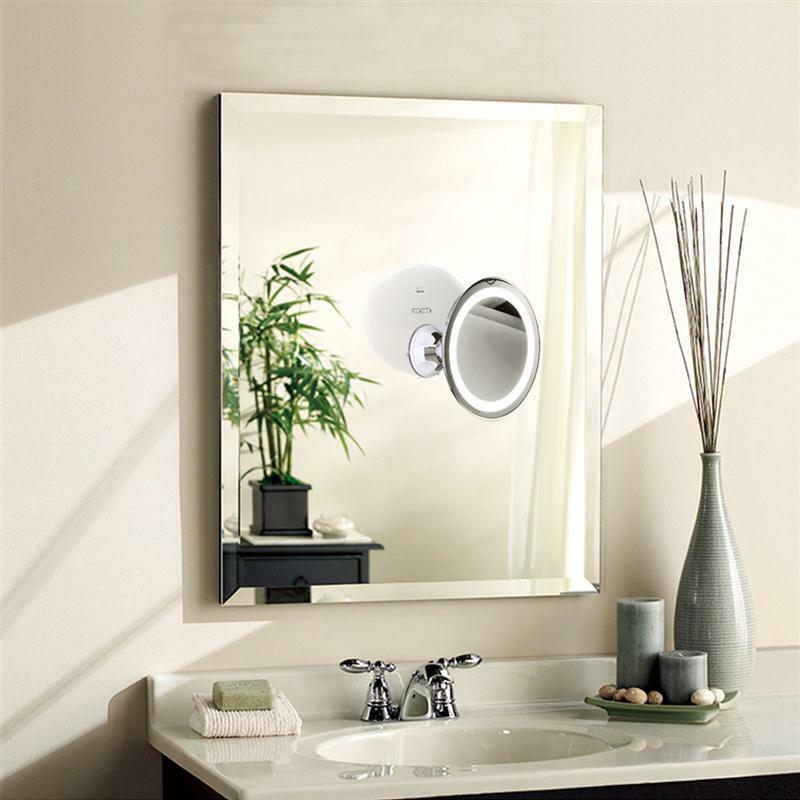 Our 360 degree rotating swivel arm adjusts to the best viewing angle. - Battery: 3 * AAA battery (Not included).